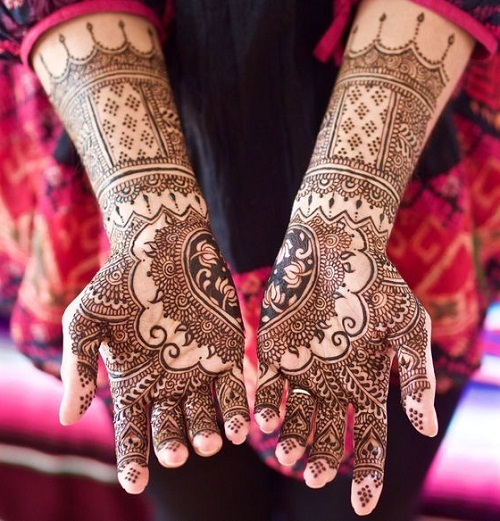 Auspicious events are best enjoyed by having Arabic Mehndi designs of tattoos, intricately etched on the skin to highlight one’s beliefs and personality. 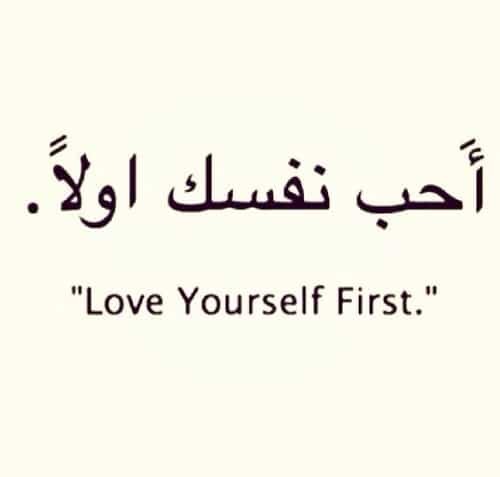 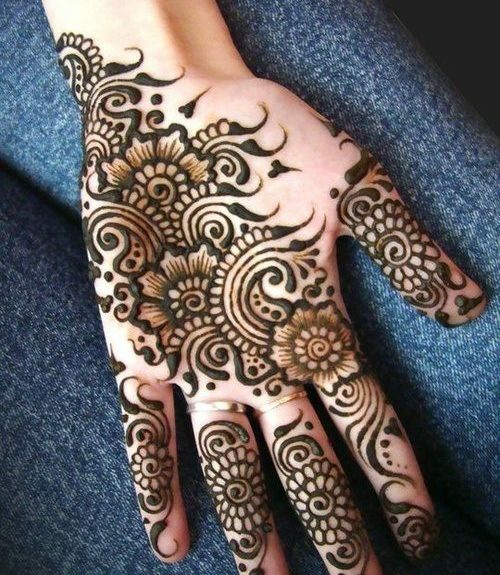 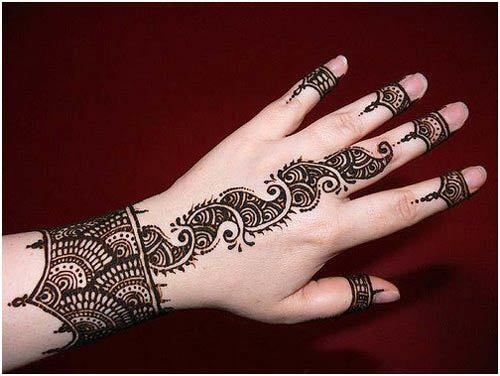 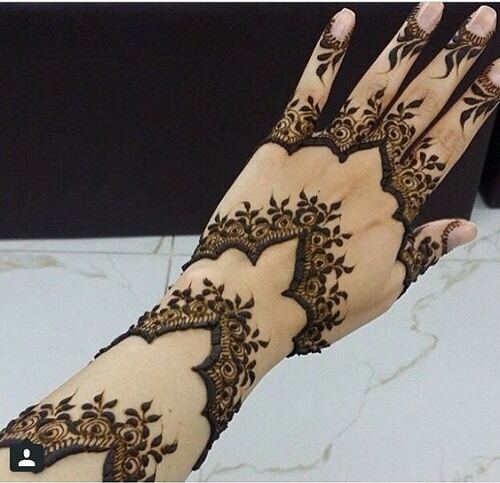 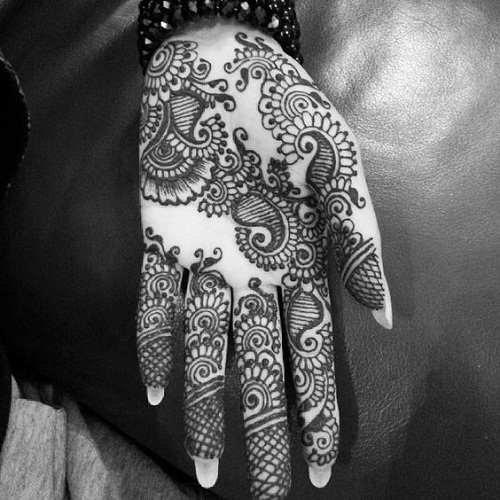 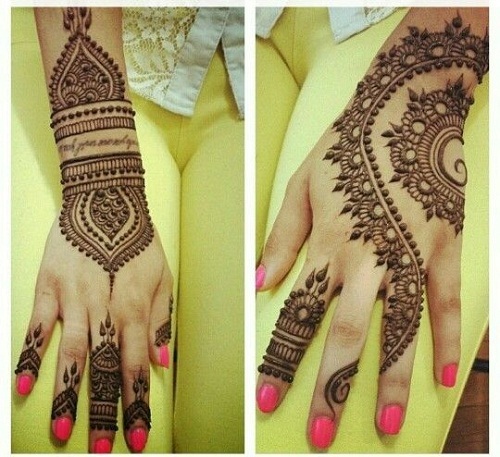 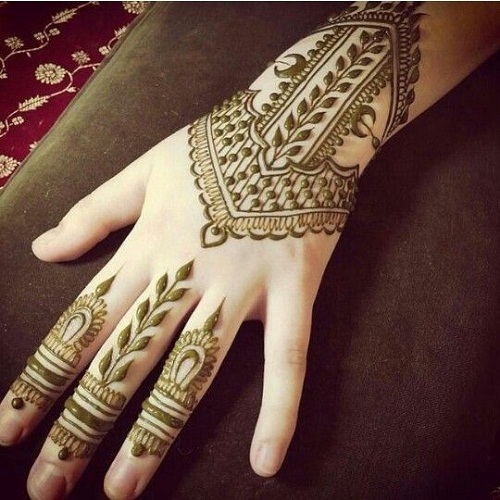 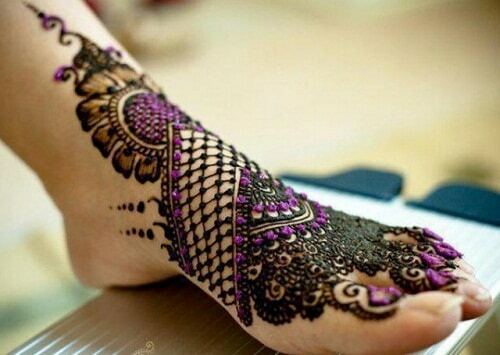 Arabic Mehndi designs are different from Indian Mehndi. 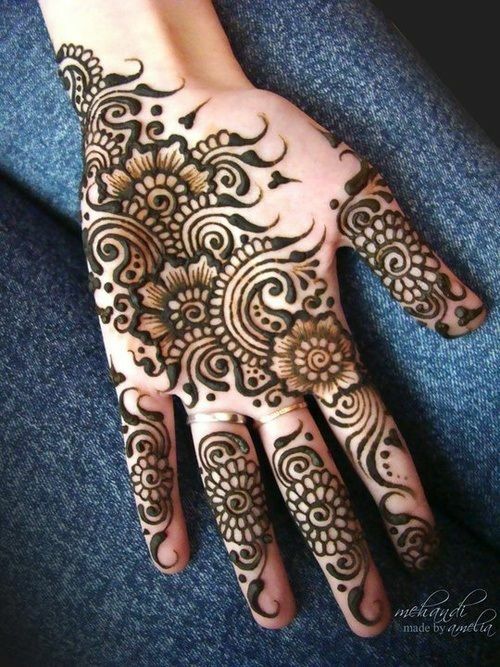 These are mostly detailed, have spaces, and sometimes resemble some architectural designs. 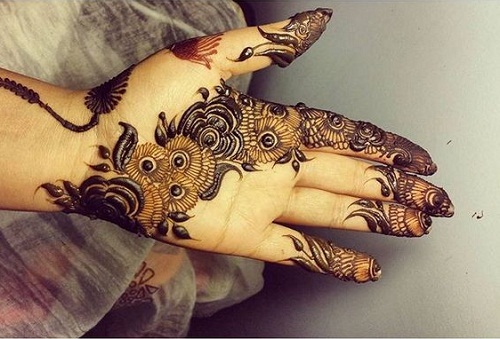 Common designs include flowers and peacocks, which are very much known for its beauty and exquisiteness. 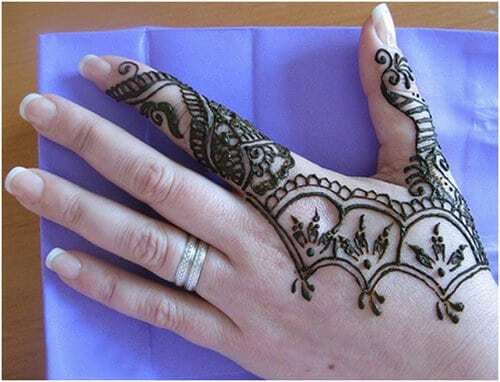 Other designs include veils and swirls recurring in a geometrical template. 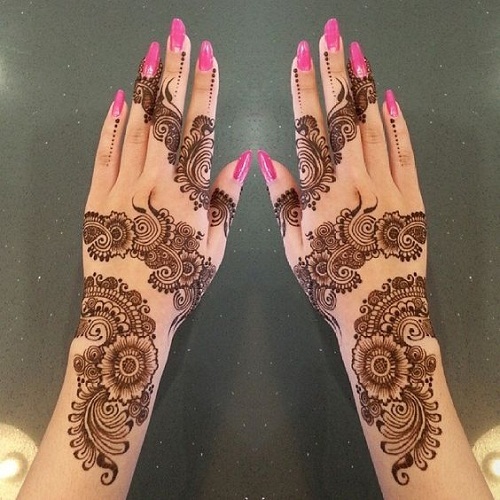 Traditional Arabic Mehndi designs are known for their intricate designs, but modern ones incorporate additional beautification materials, which include gems, stones, and sparkles. 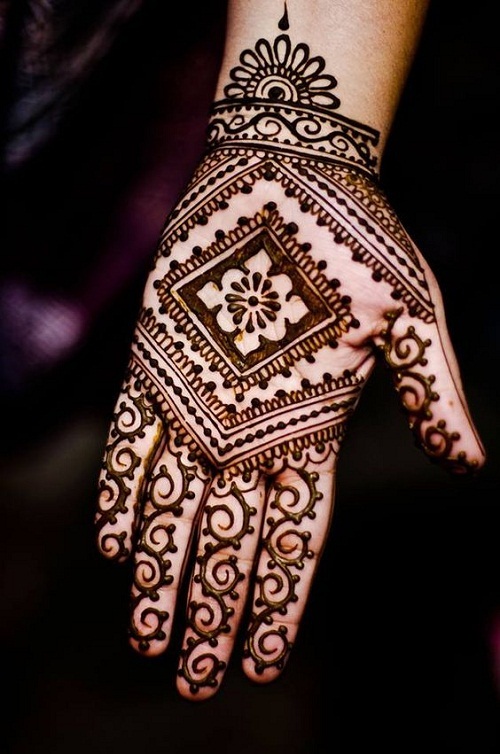 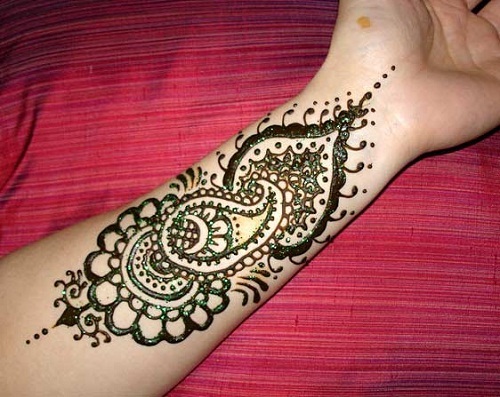 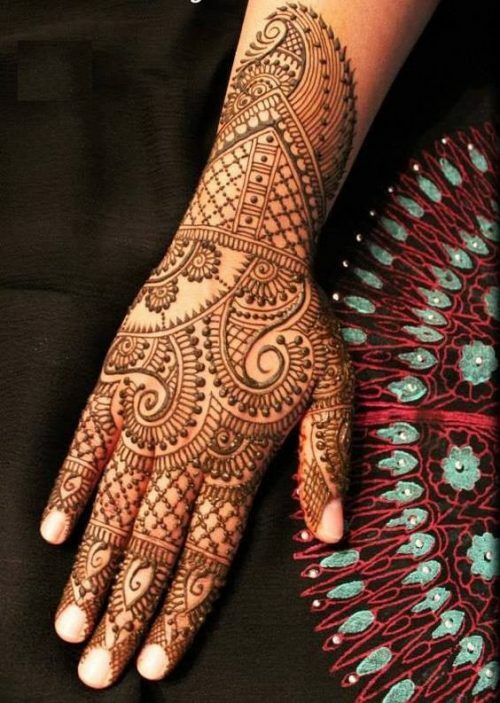 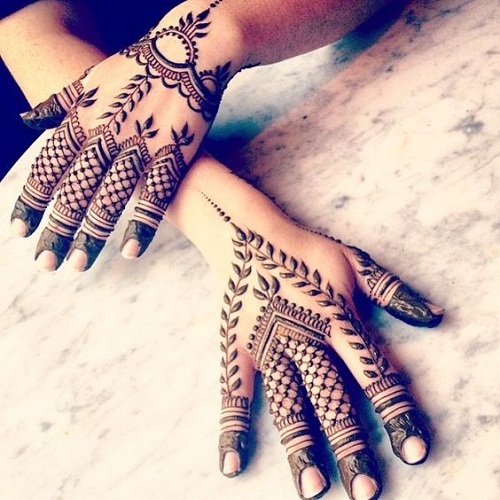 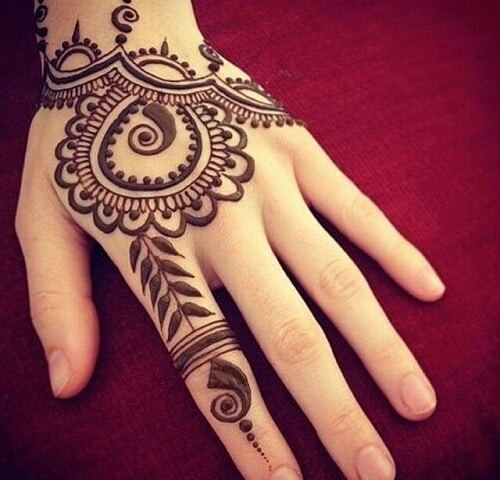 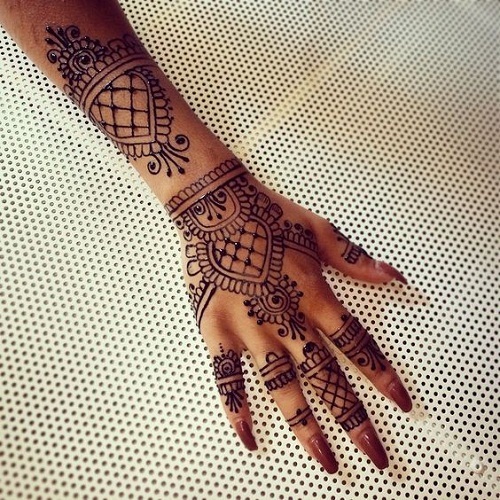 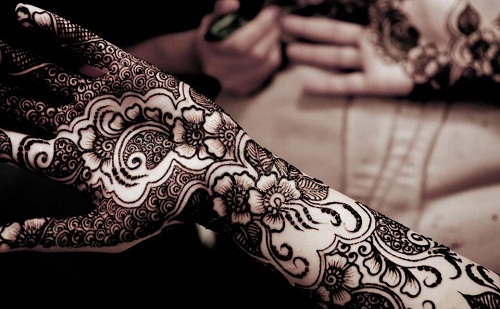 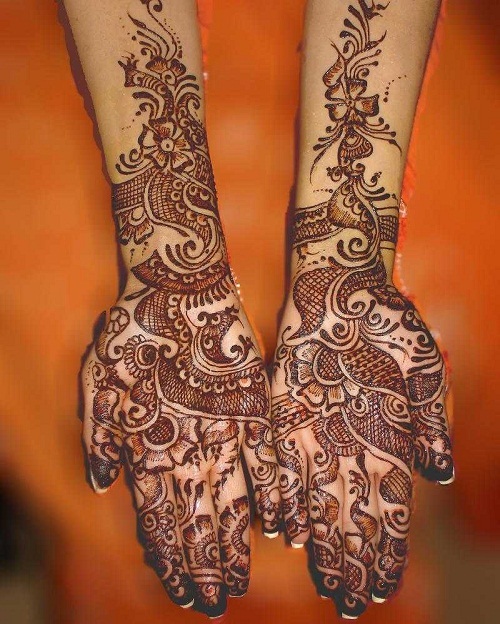 Arabic Mehndi designs are inspired by the Indian mehndi. 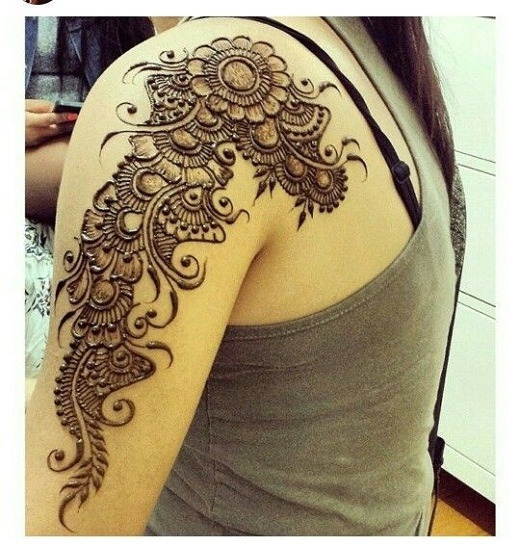 That’s the reason why you see some animals on most designs, which are prominent in Indian designs. 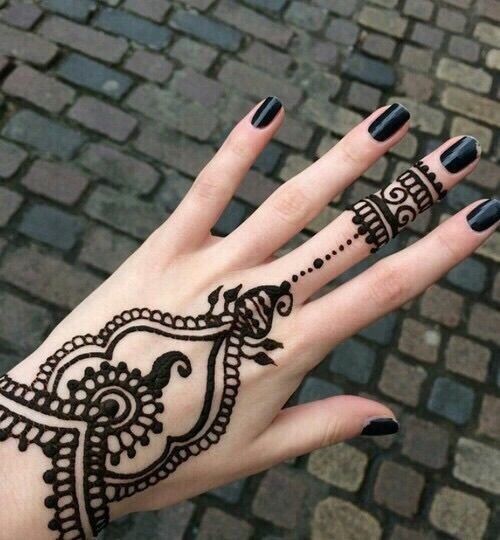 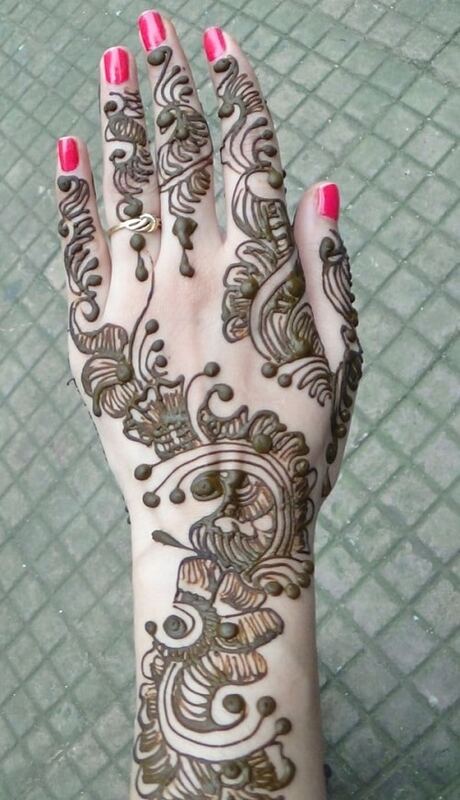 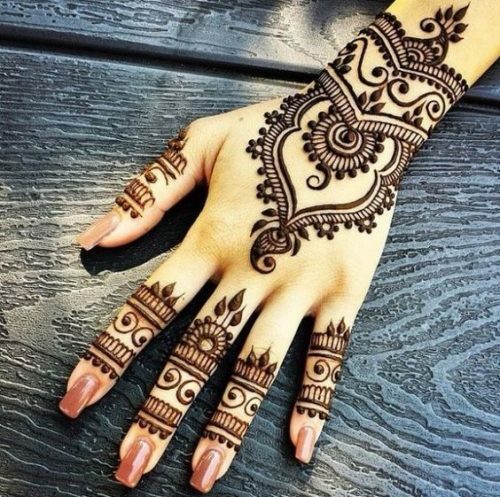 Henna is commonly used on the Arabic Mehndi because of its capability to provide a solid color which cannot be taken off easily. 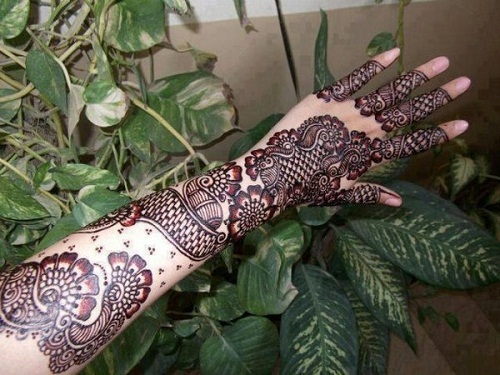 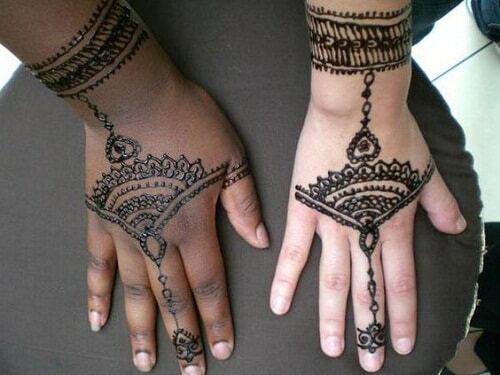 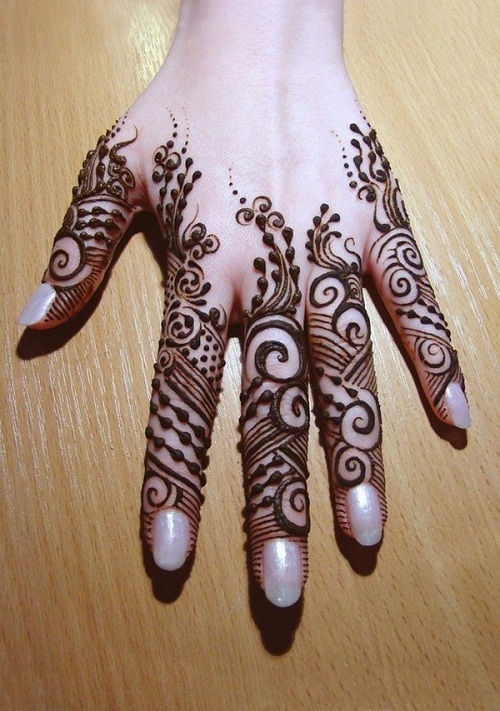 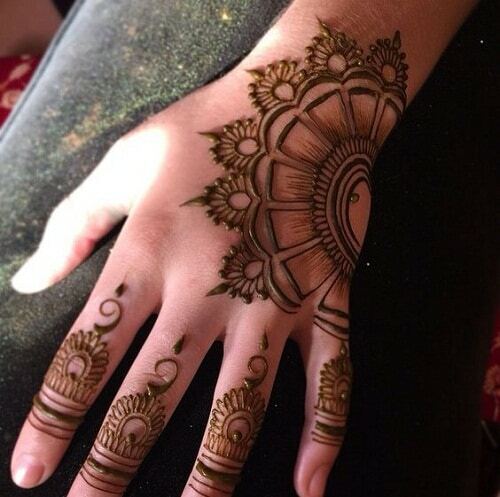 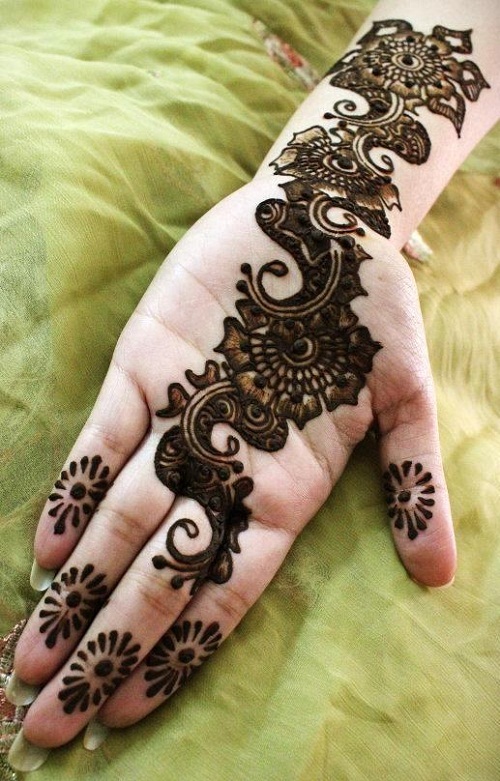 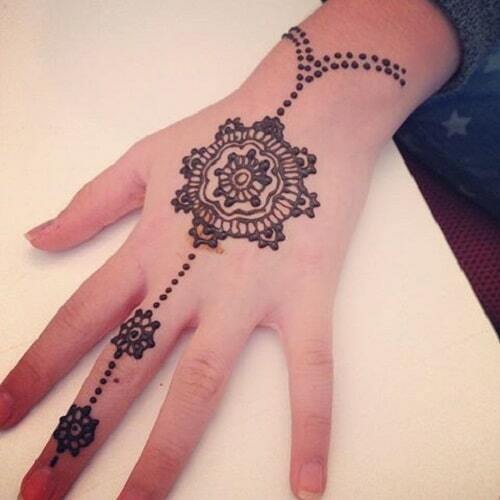 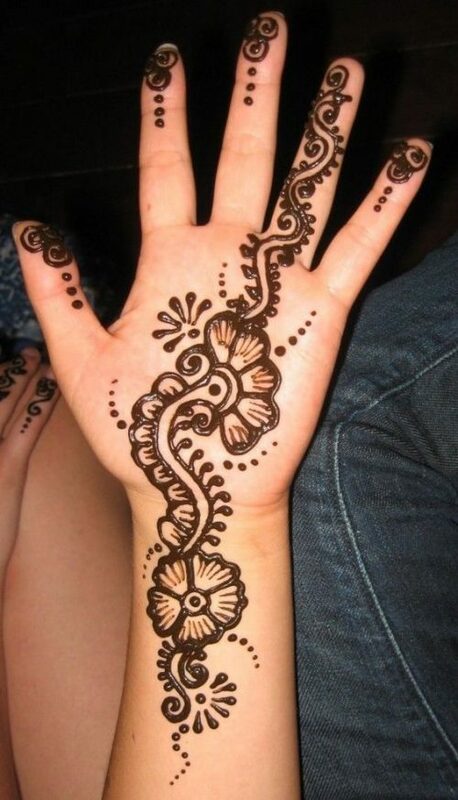 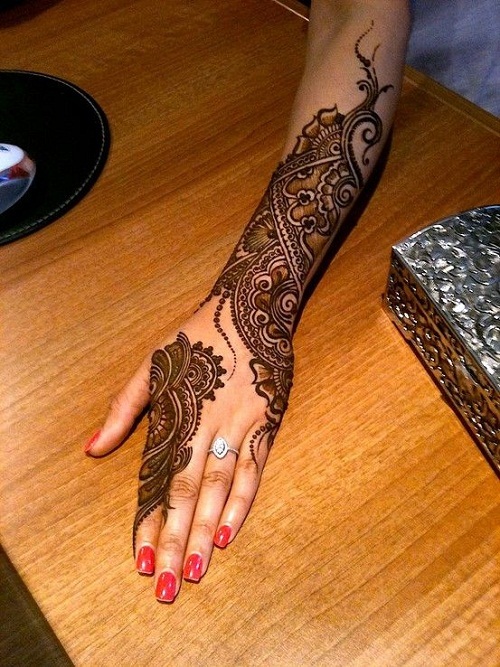 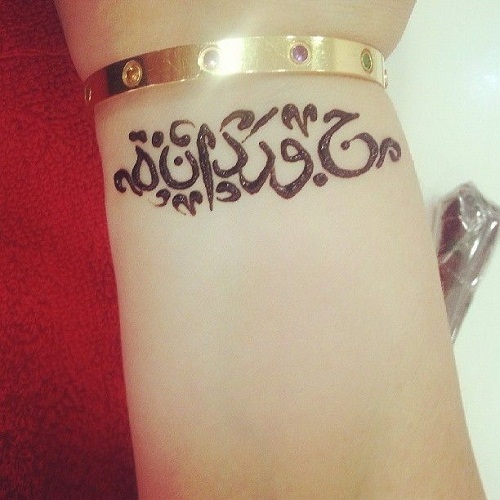 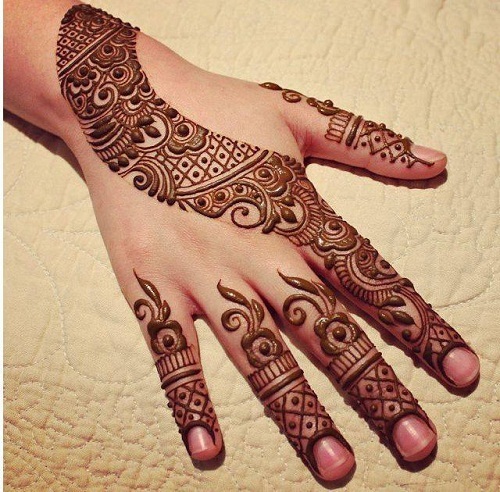 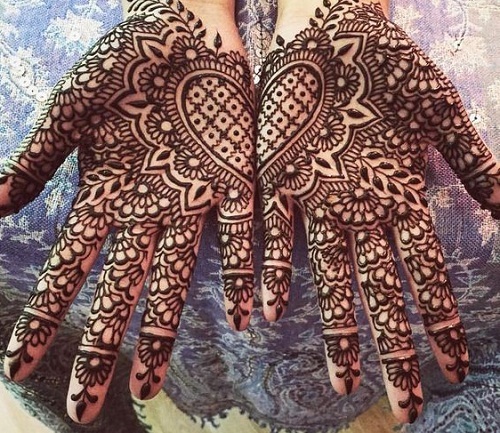 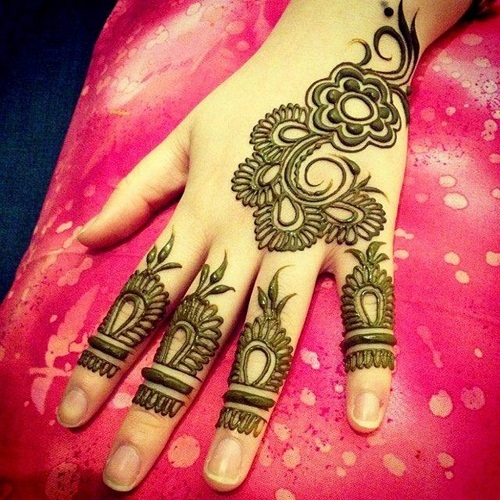 Arabic Mehndi designs are not just for wedding and special events. 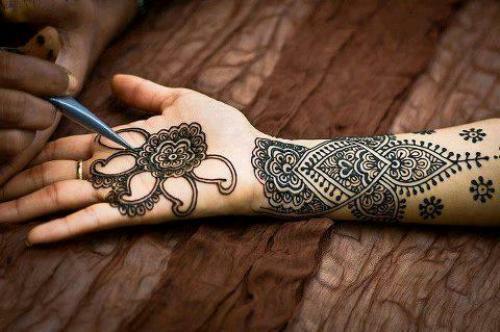 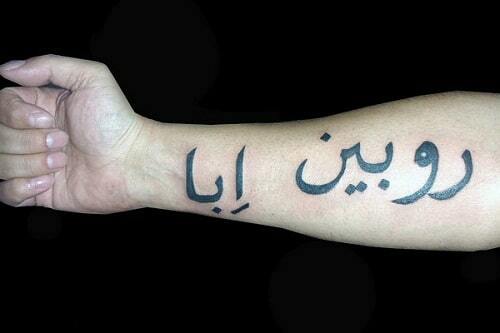 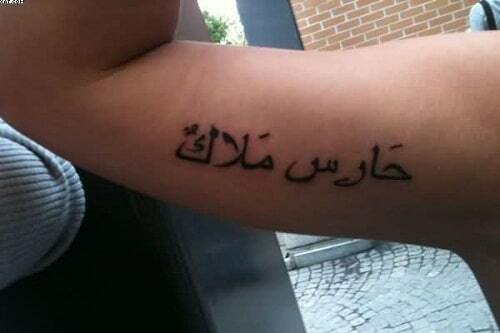 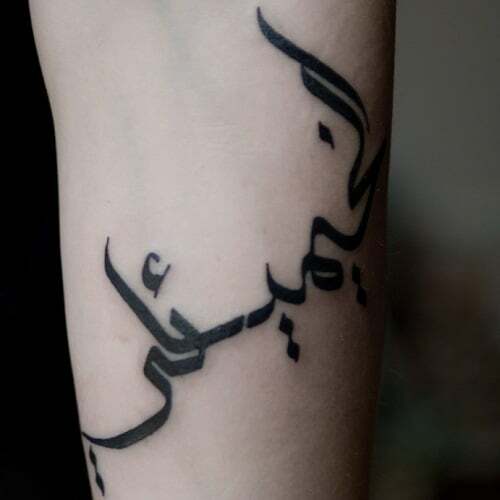 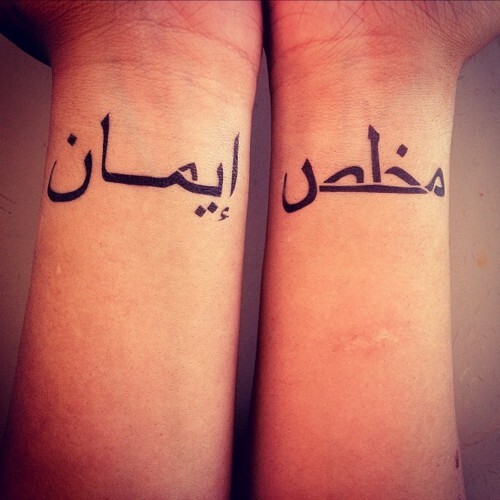 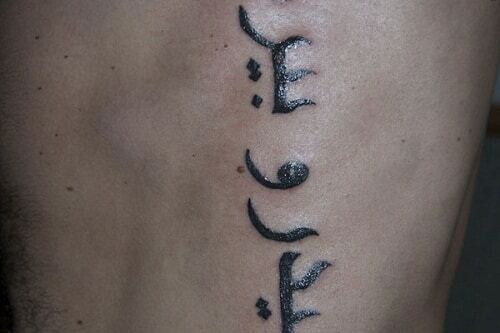 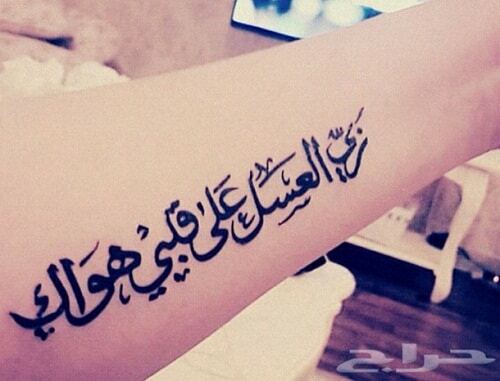 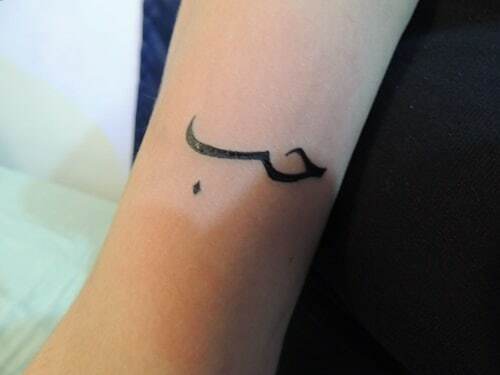 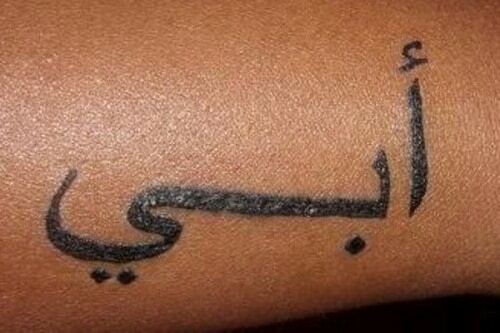 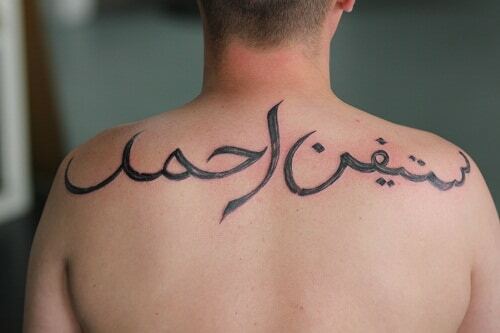 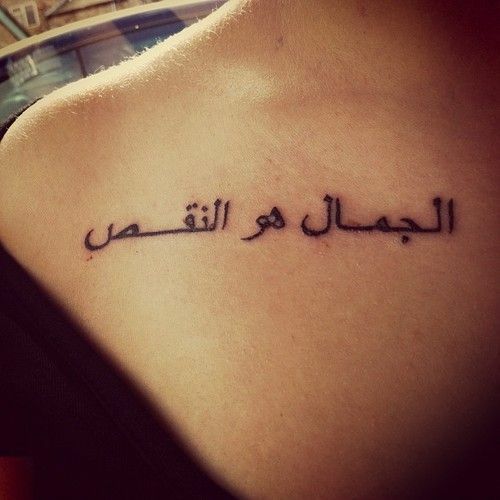 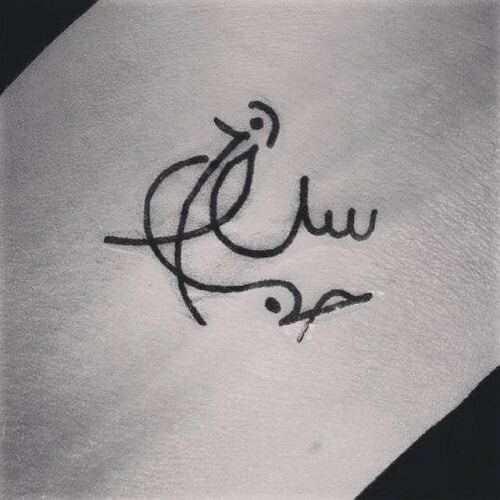 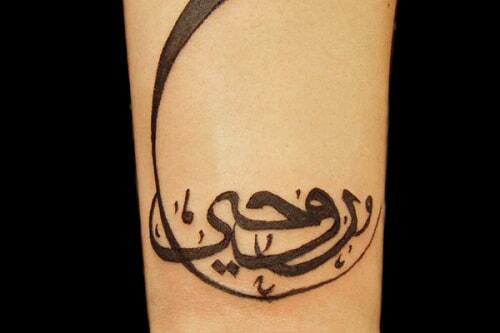 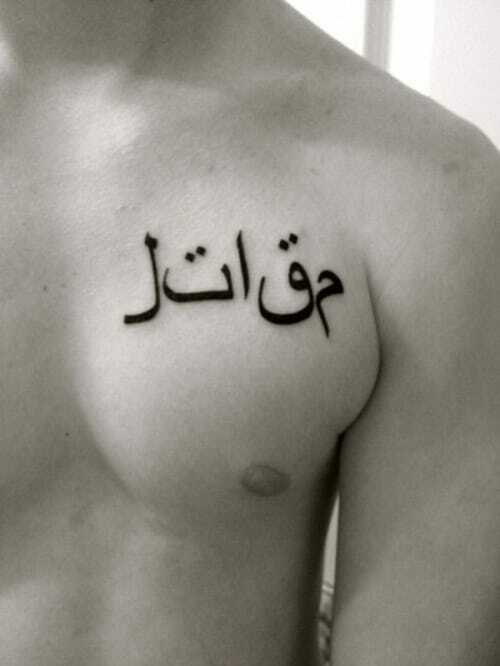 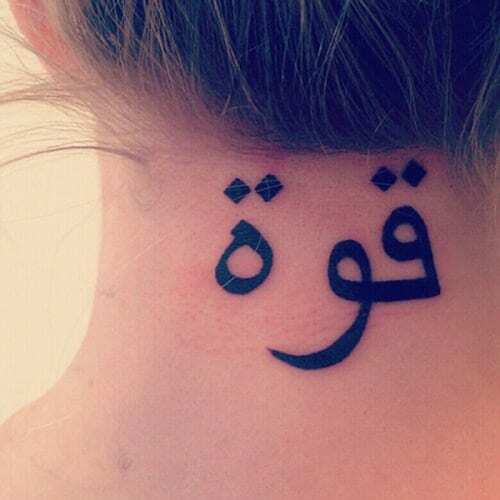 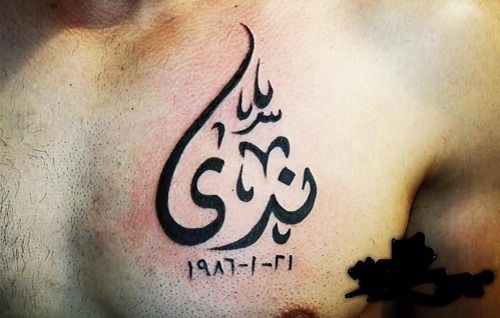 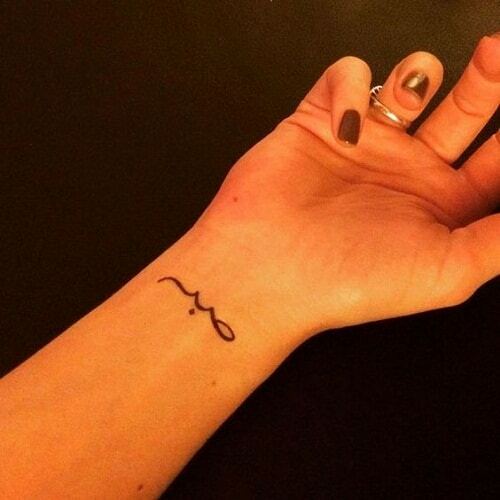 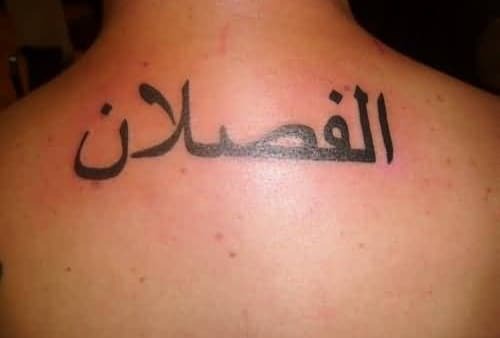 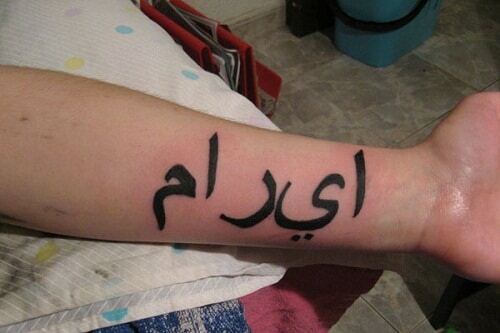 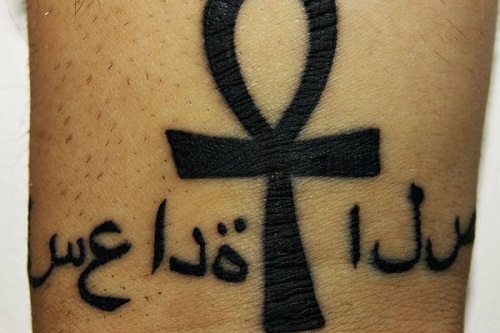 These are also a great option if you want to have a permanent tattoo but you are not sure about how it will look like. 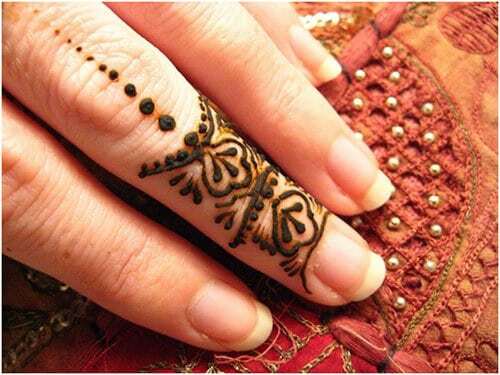 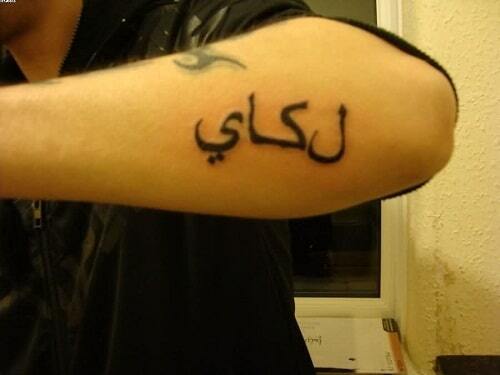 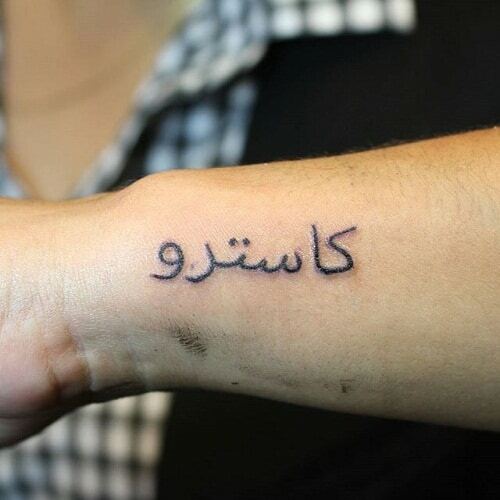 You can have a mehndi design first before you have it permanently etched on your skin. 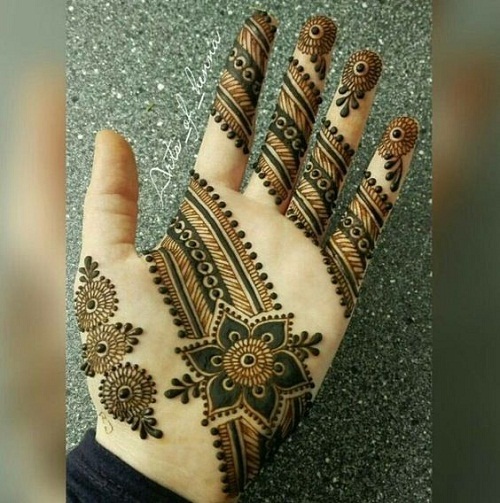 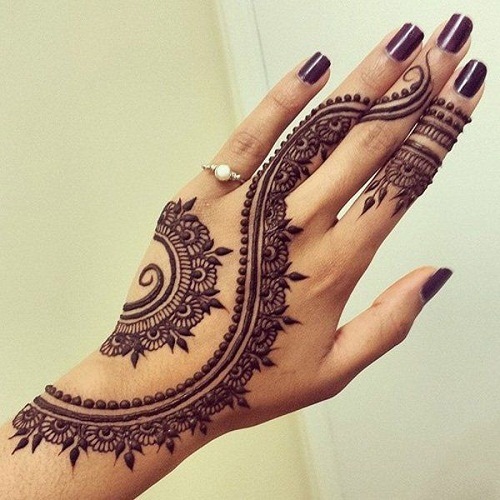 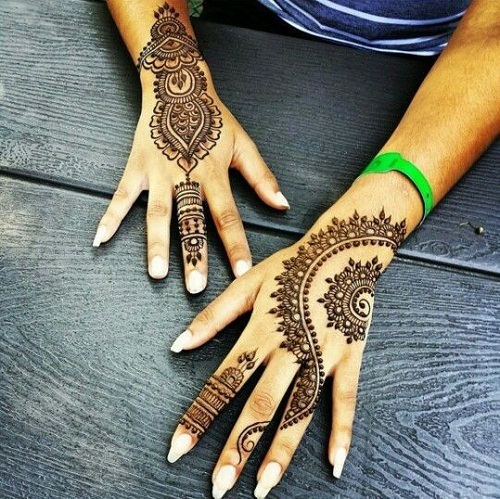 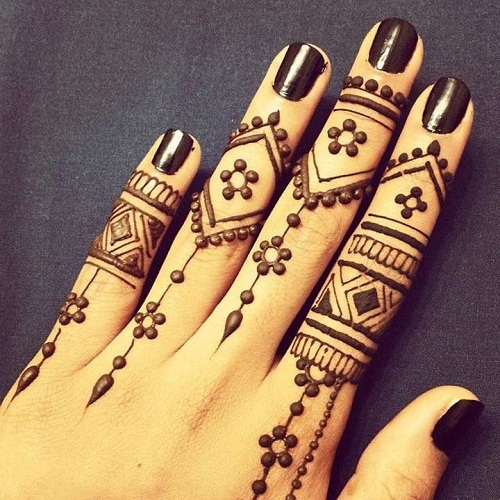 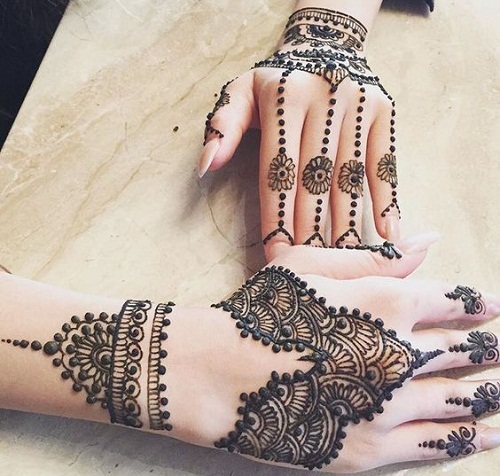 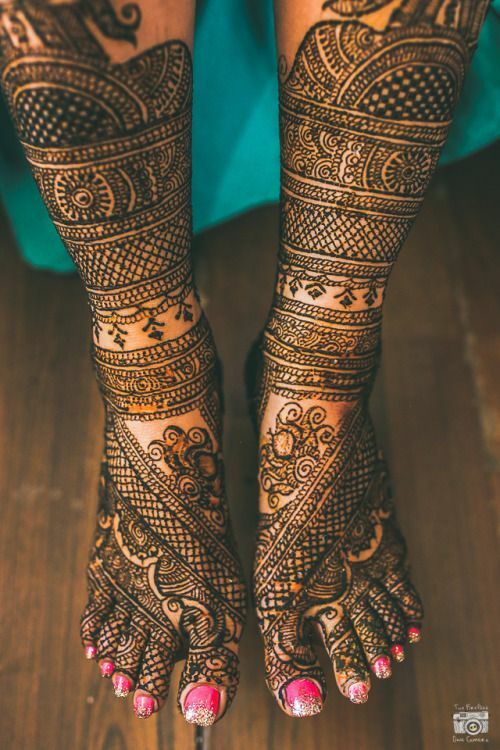 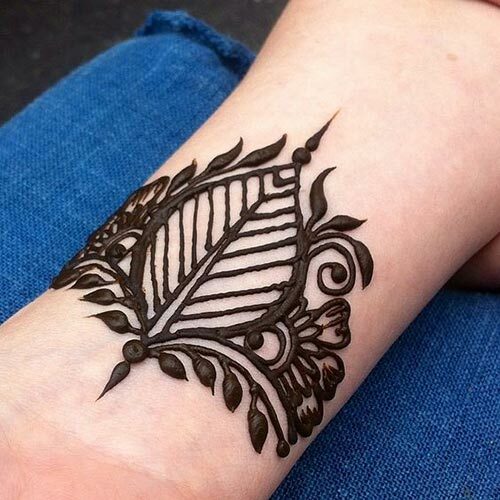 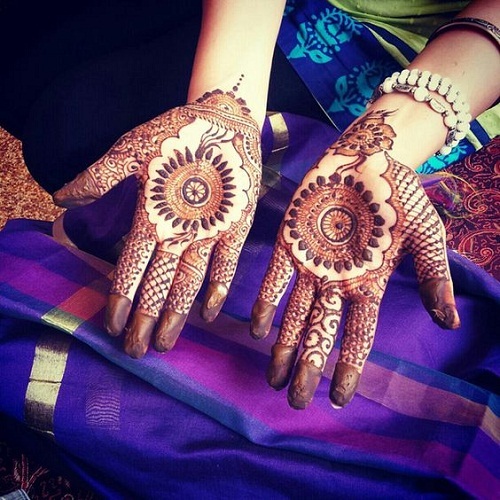 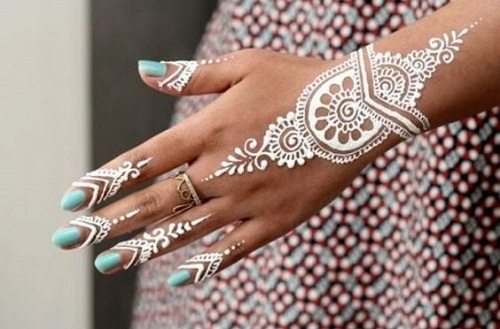 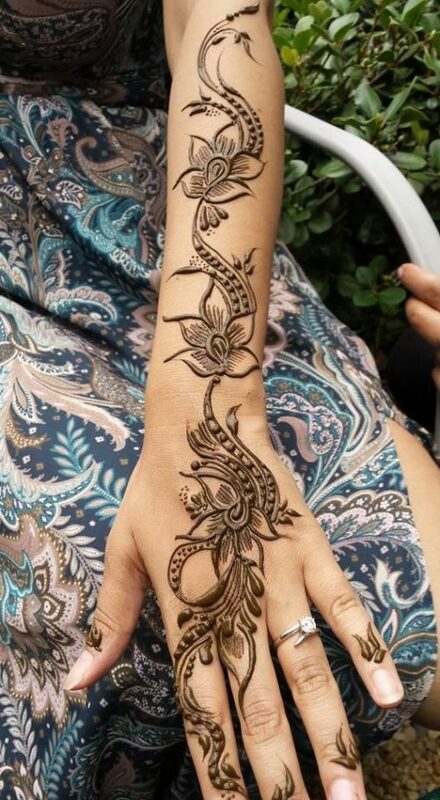 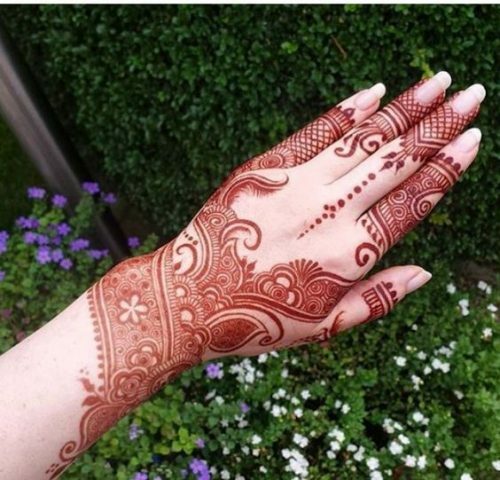 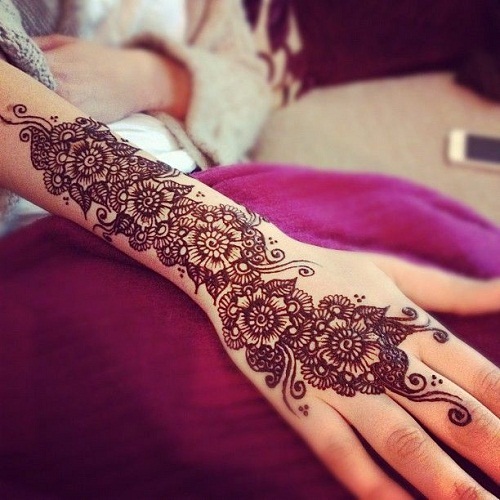 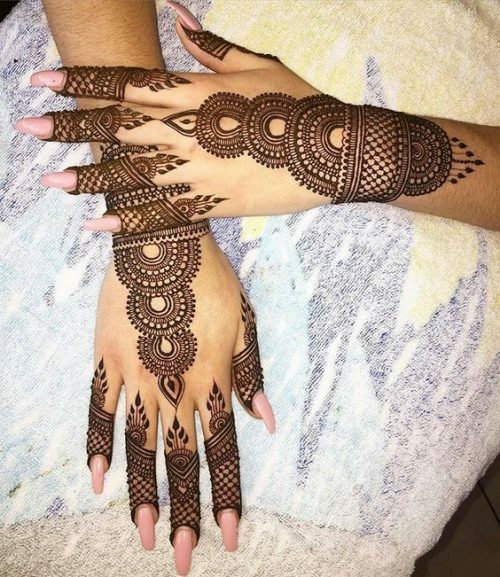 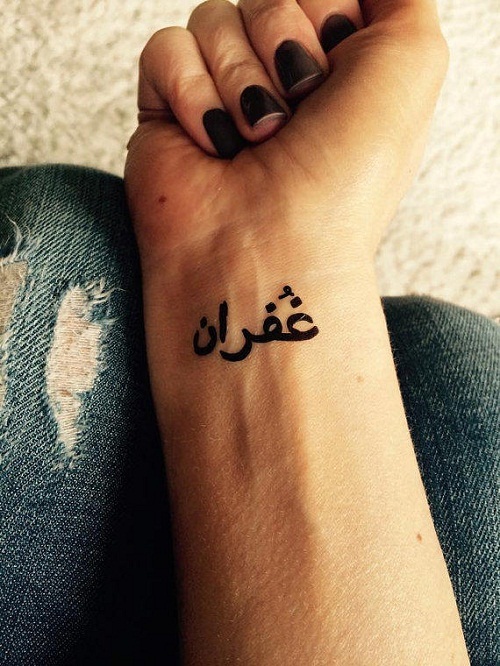 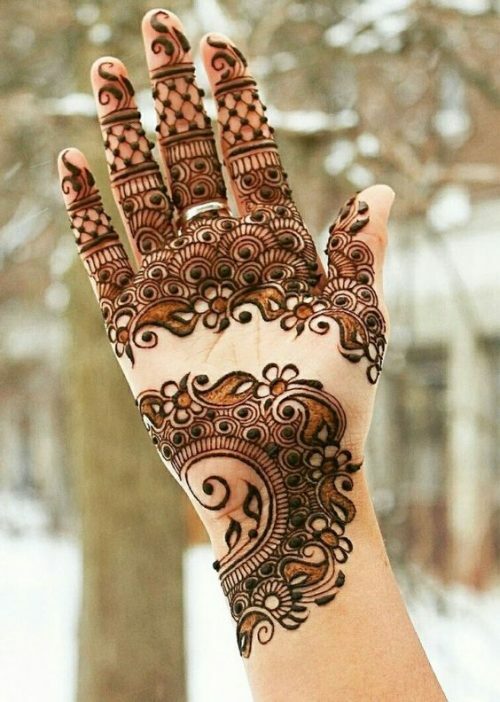 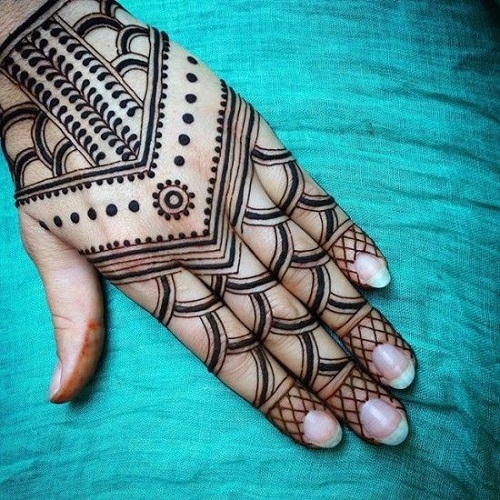 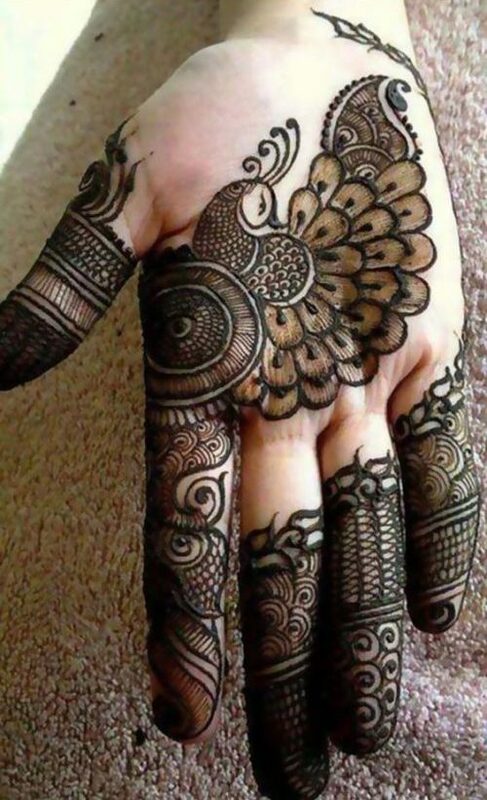 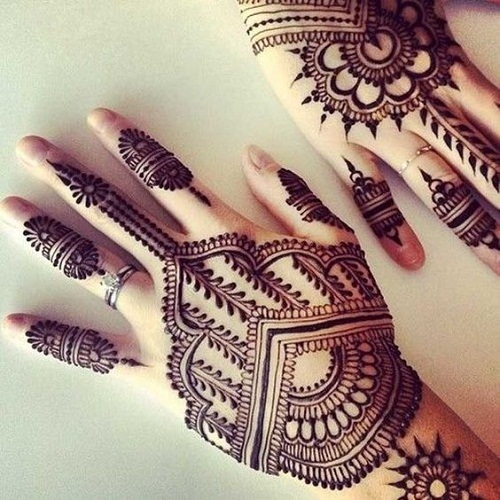 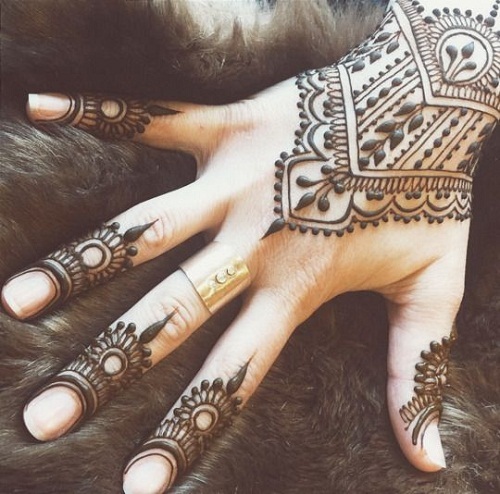 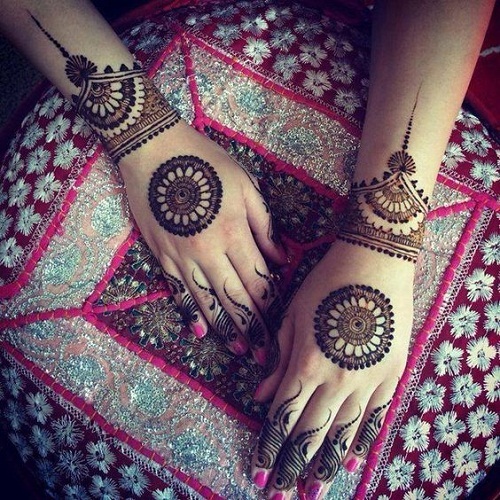 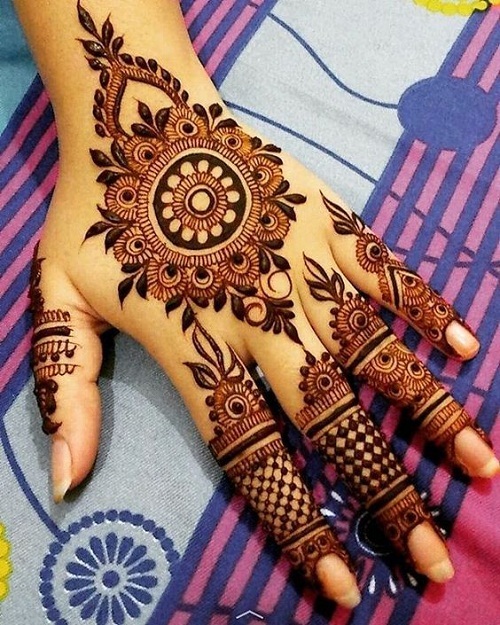 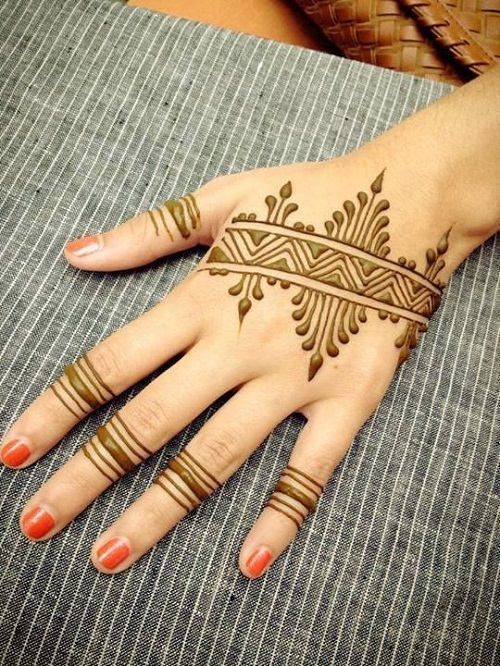 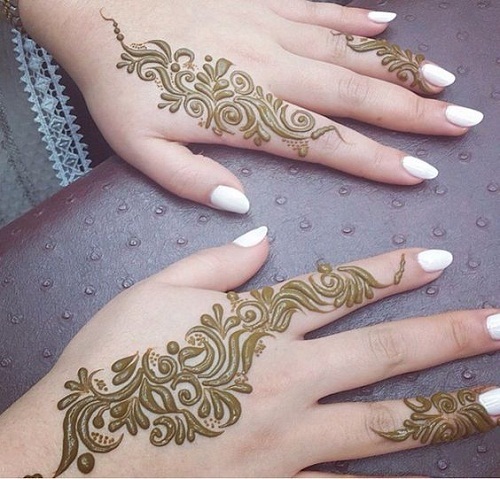 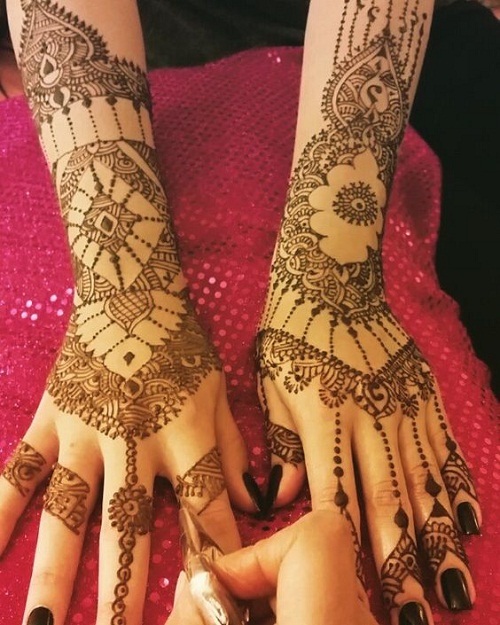 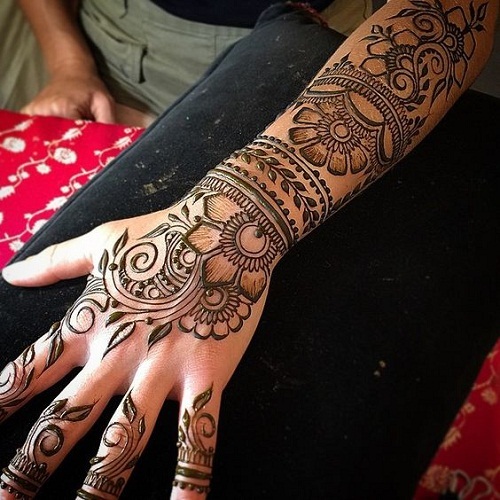 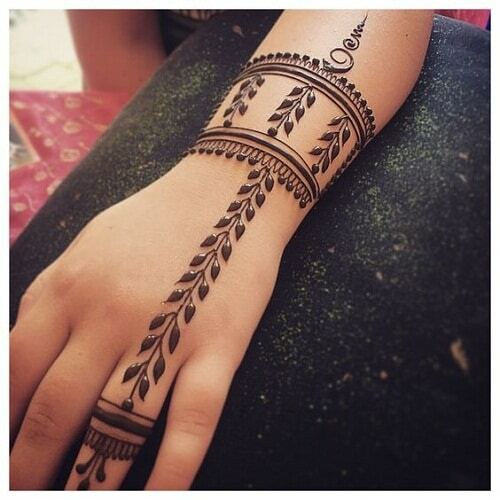 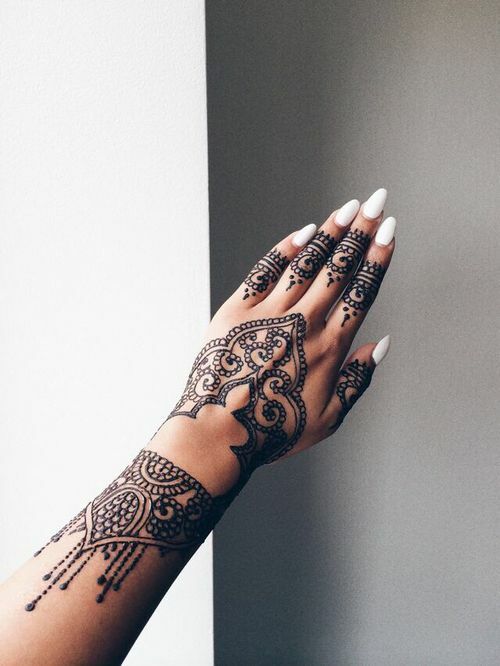 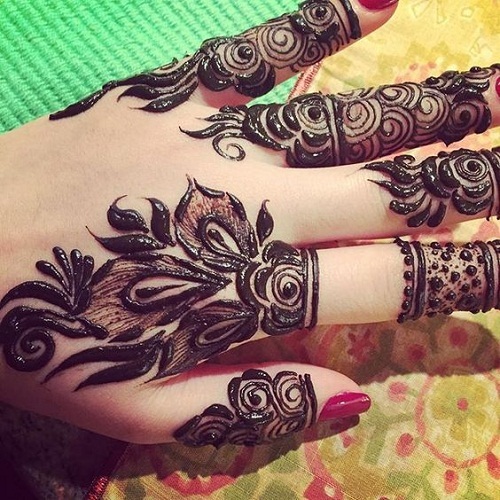 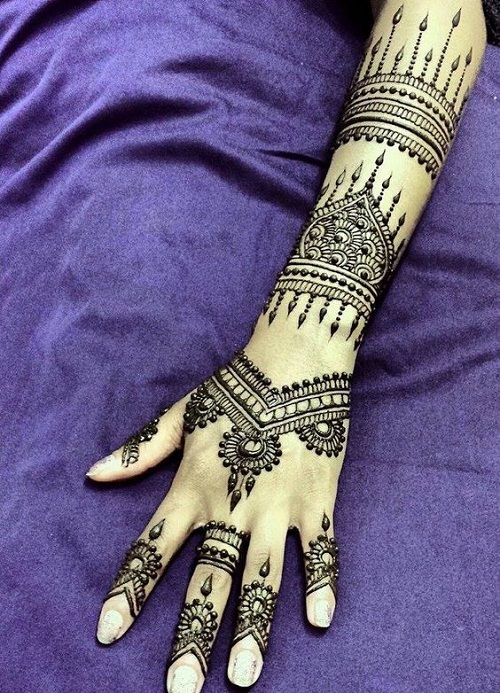 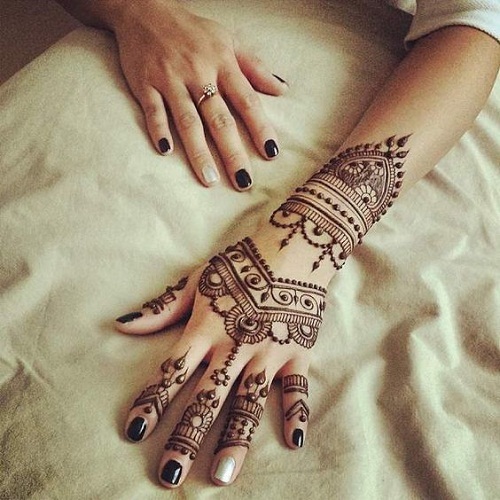 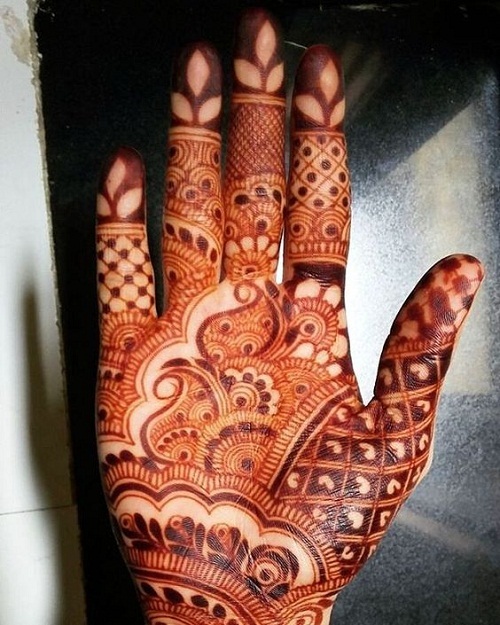 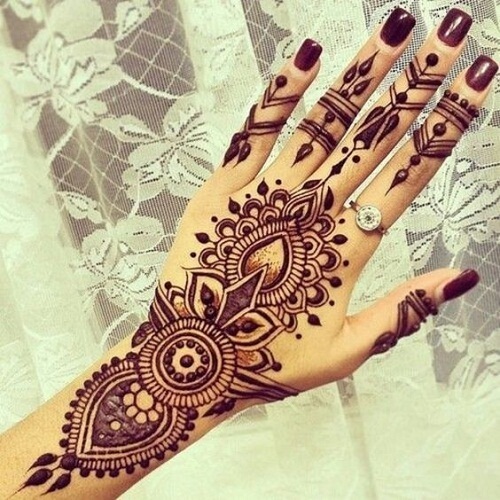 If you are not a fan of Arabic Mehndi designs, you can also check our huge collection of henna and simple mehndi designs that are a mixture of different traditional images around the world. 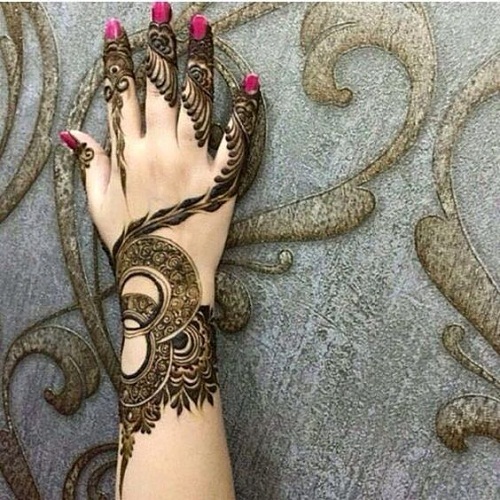 Hey readers! 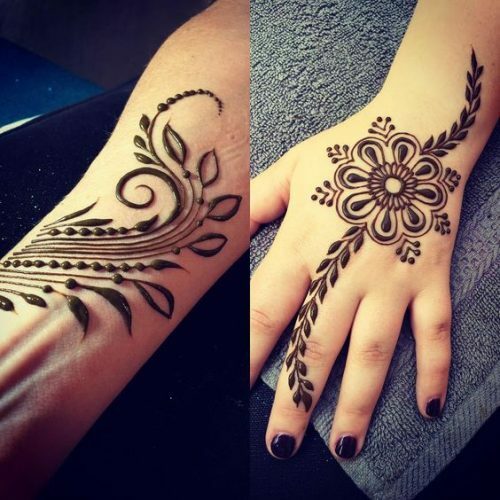 I’m Jeffrey and your tattoo artist of the day;) I have been drawing and painting my whole life, and after graduating high school I decided it was time for a bigger challenge and I started drawing on people. 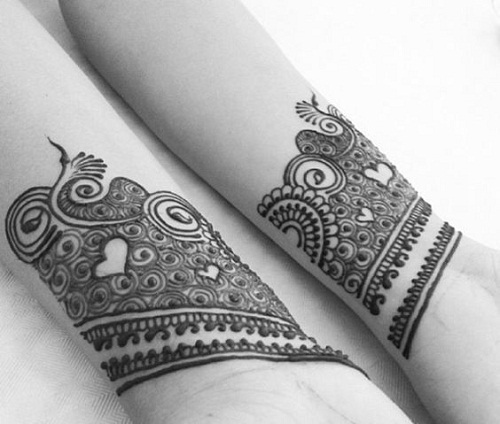 I’m so fortunate I got to express my creativity through my body art and even more so to share my passion with my now wife Emilie. 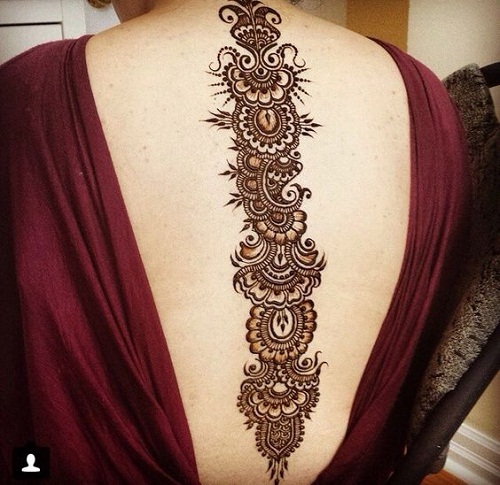 She started working with me in my tattoo shop as a piercer and I started writing about and photographing, my creations on this blog. 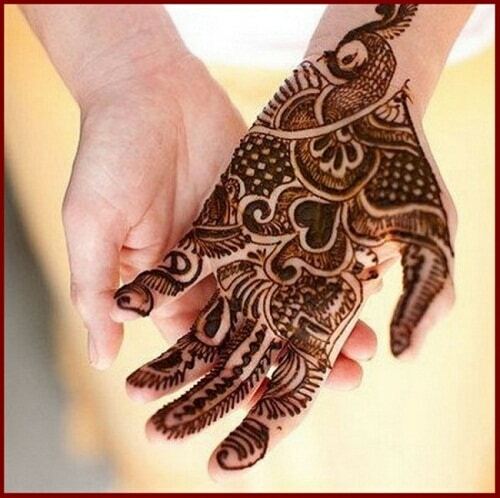 I love to hear from you and hope you enjoy our work together! 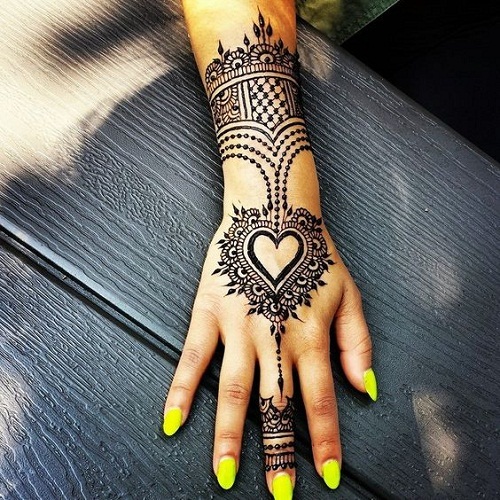 Piercing Models is created from a need; a personal need from the authors to educate and inform people about the risk and procedures of getting a tattoo or piercing. 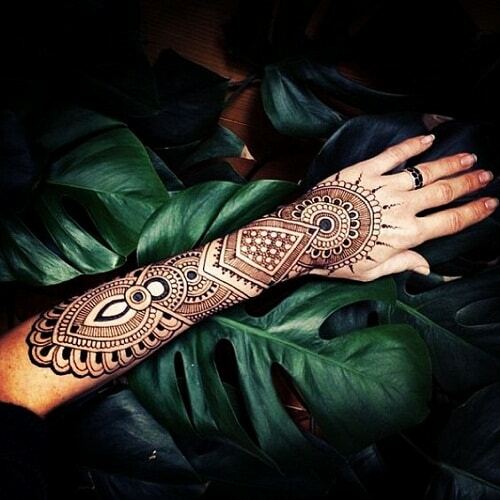 We are Emilie and Jeffrey and we want to inspire YOU to get stunning pieces of body art, safely and professionally! 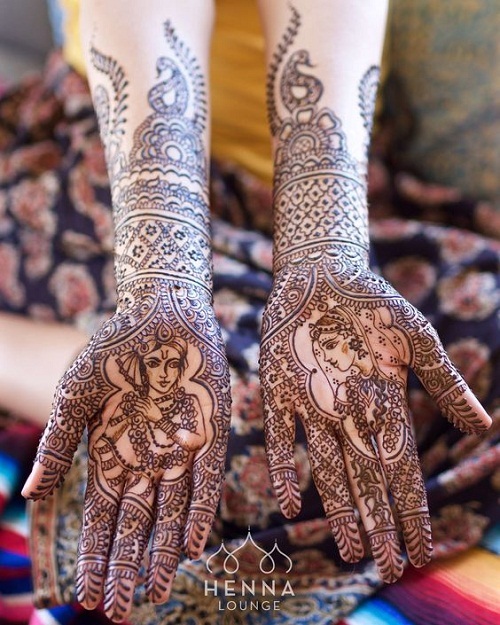 Read more about us in our story. 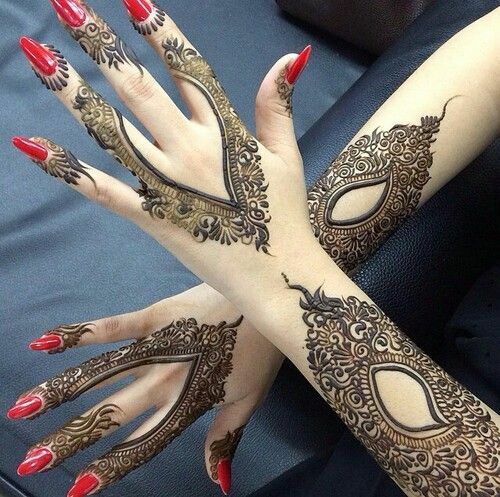 Piercing Models is a site for all your piercings and tattoo queries, inspiration, artistic ideas, designs and professional information. 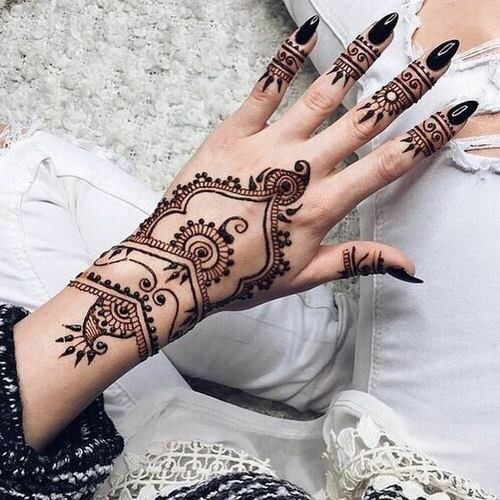 Whether it is your first time getting a piercing or if you are a professional in the industry, this website will help you select the best piercing or tattoo for you and provide you with the information you need to take good care of your piercings and tattoos. 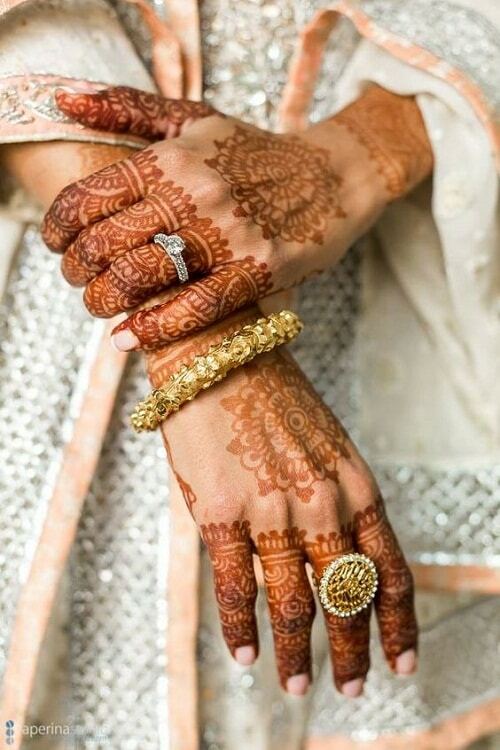 For more information on Piercing Models please visit our About Us page.